Oh, you know. Just keeping it casual here. This jacket? Oh, yeah. They gave me this after my successful mission into outer space. The space station needed some repairs up there, so I hopped in a shuttle and blasted off. Then, Neil Armstrong needed my help on the moon, so I took the shuttle to the surface and together we vanquished the evil space aliens of sector four. That’s how I became the Grand Space Baron of NASA. That’s when they gave me this jacket. Okay, so maybe we’re not entirely clear on how NASA, space, or the moon works, but that’s exactly the story we’d tell to our friends and family while wearing this adult Apollo 11 Flight Jacket. This blazing blue zip-style jacket makes you look like an accomplished astronaut who’s spending some time away from his rocket ship. It’s made out of cotton and features plenty of details that any space exploration enthusiast will be able to appreciate. It has pockets on each side with zipper closures. The sleeve also has a zipper pocket as well. 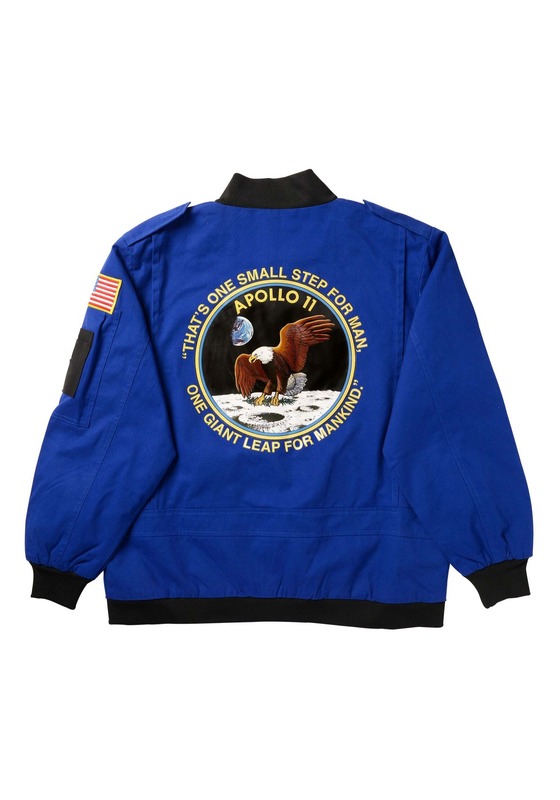 The patches on the front read “Apollo NASA” and “NASA”. There’s also an America Flag patch on the sleeve. A brilliant patch covers most of the back. It reads “That’s one small step for man, one giant leap for mankind.” It also has a picture of an eagle landing on the moon. While this jacket might not actually prepare your for a rocket ship ride to the moon, you will look like a seasoned veteran of space travel when you wear it. You can regale your friends with the tale of how you flew in a rocket with Neil Armstrong. 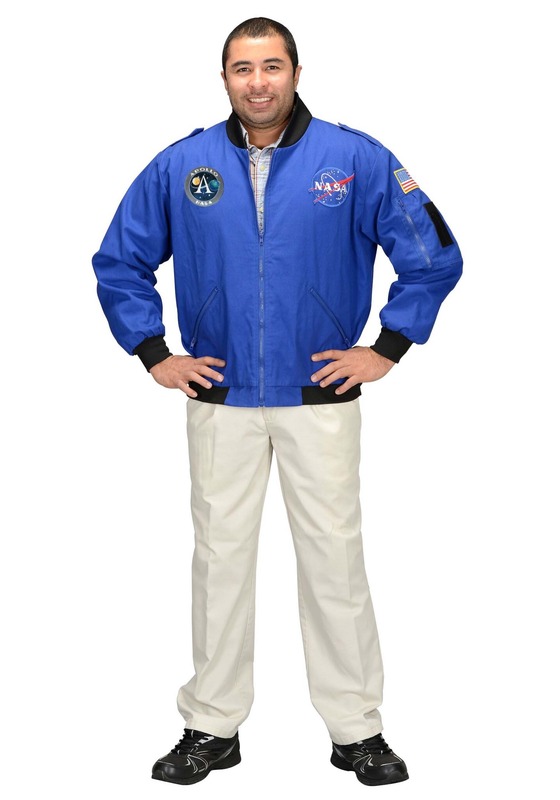 Or you can just blast off to the next costume party as your dream job!